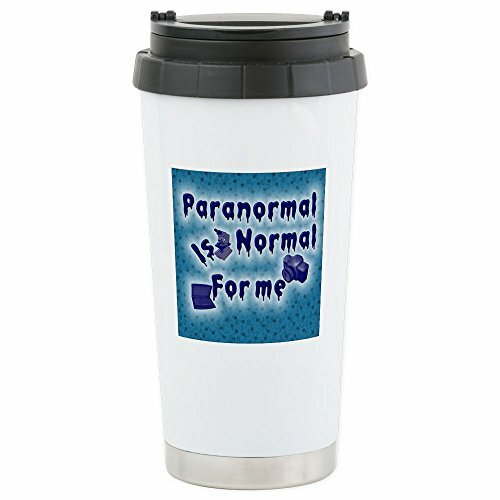 This insulated travel mug is constructed with durable double-wall stainless steel travel mug technology to keep 16 oz. of beverage hot or cold for hours. Spill-resistant lid features convenient carrying handle. Measuring 7.25" tall and 3.5" diameter, this coffee tumbler fits most car cup holders for easy commuting to work, or for a quick brew under your pod-style coffee maker. Hand wash only recommended. IMPORTED. Our drinkware designs are professionally printed, so your unique design will look great and make someone smile with the funny, cute, vintage, or expressive artwork. Treat yourself, or make this to-go mug the perfect gift for Mother's Day, Father's Day, Valentine's Day, Christmas, birthdays, anniversaries, retirement, or for no reason at all!